In Jan 2008 Mick Lewis, the late-blooming fast bowler who became a key member of Victoria's attack quit the game at the age of 33. He would be eternally remembered for his figures of 10-0-113-0 in ODI no. 2349 at New Wanderers Stadium, Johannesburg on 12th Mar 2006. It was a match that surpassed all the other 2,348. On perhaps the best batting surface ever prepared in South Africa, Australia became the first team to sail past 400….still lost !- with a ball remaining. Mark Boucher hit Brett Lee to the long-on boundary, giving South Africa the match and the series. This took the match aggregate to 872, increasing the old record of 693 by a quarter. It was no day to be a bowler, after eight overs, Telemachus had the respectable figures of one for 47 (and the game's only maiden), bowled four consecutive no-balls in a ten-ball over costing 28 to close at 10-1-87-2. Yet Telemachus had a good day compared to Lewis. The 2016 ICC World Twenty20 is on played from 8 March to 3 April 2016. The Sixth edition has a total of 58 matches, including 35 men’s and 23 women’s games, being played in the 27-day tournament in the Indian cities of Bengaluru, Chennai, Dharamsala, Kolkata, Mohali, Mumbai, Nagpur and New Delhi. New Delhi and Mumbai will host the semifinals on March 30 and 31 respectively, while Kolkata will host the finals on April 3. Yesterday in the 5th match of 1st round Group B Zimbabwe beat Scotland by 11 runs and in the 6th match Afghanistan won by 6 wickets (with 12 balls remaining) – you can be pardoned for not following the minute details. The match was played at Jamtha, the Vidarbha Cricket Association Stadium in Nagpur, inaugurated in 2008. It is unique in the sense that it is situated next to a National Highway (NH 204) – thus greater access by road ! On that 12th March 2006 when bowlers where whacked, a crowd of not less than 5000 watched a Hindu Trophy match – a limited overs match between 2 local sides, played in flood light. That is the enthusiasm of die-hard fans of Chennai, who were once seen in large numbers in Buchi Babu tournaments at Marina and Chepuak…. Now BCCI and ICC have together ensured Chennai is not a venue for any match of ICC T20 citing the locked 3 stands – what is conveniently hidden is still it has a larger capacity and would house more fans than most other stadiums !! Chennai has been allotted four matches -- all women's and not involving Indian team -- for the upcoming World Cup ! Now back to yesterday’s official double header – they were played literally to empty stands, mainly due to official apathy and poor planning making Nagpur – Nagpoor. Season after season, the Indian cricket board (BCCI) seems to go about its ticket distribution process in an irrational manner. As if past embarrassment were of no concern, this week the Vidarbha Cricket Association (VCA) made things worse for itself, as well as for the BCCI, by waiting until the last minute to make tickets available for the World Twenty20 qualifiers in Nagpur. Today’s TOI reports that scores of cricket fans were left clueless when the VCA Stadium in Jamtha hosted a double-header: Hong Kong vs Zimbabwe and Afghanistan vs Scotland.Those who wanted tickets had no idea where to buy them from. As a result, the matches were played to empty stands. 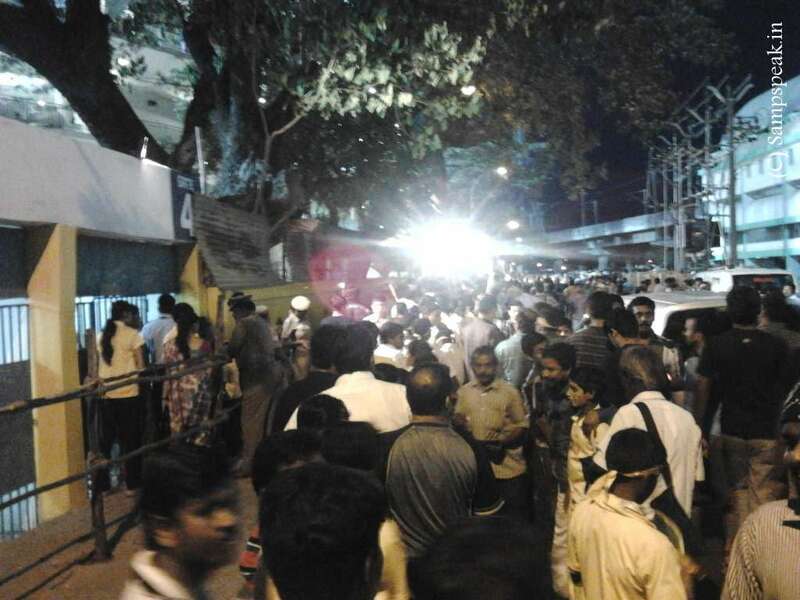 While a random draw of lots had been conducted on line to sell tickets for matches involving the Indian team, fans had been expecting to buy tickets at the counter for the less popular games such as the qualifiers. 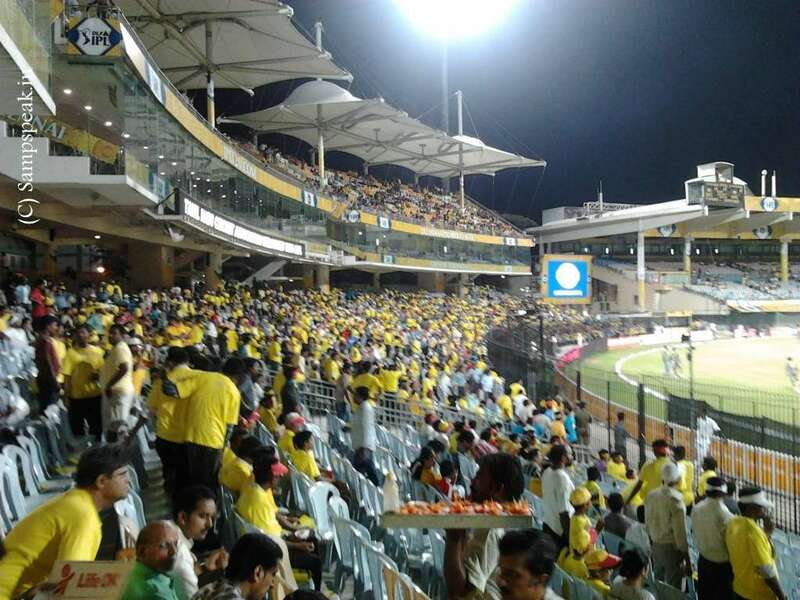 “The stadium was empty and I thought I could have just bought a ticket and entered,“ said Ashok Naidu, who drove from the centre of the city to Jamtha, approximately 18 kms, to watch some cricket but was asked to go back to the city to buy tickets. He like some other fans were forced to return empty-handed from Jamtha. On Wednesday, the VCA opted to send a press release to select media houses, saying tickets for the March 10 double-header would be made available at the old VCA stadium premises. It is simple common sense to sell tickets at the venue, unless of course it so hot that tickets would get sold online !! A cricket website quoted a VCA official justifying that advertisements had been placed in local newspapers informing about the ticketing policy . However, the same official failed to explain why the information had not been passed on to the BCCI or the ICC so that fans could be updated about the same. Incidentally, Nagpur is home to BCCI president and ICC chairman Shashank Manohar. With the onset of summer and temperature touching 40 degrees, some fans came all the way to Jamtha, a long drive from the city limits on the national highway, and had to return empty handed. The gates were locked and it was then that it occurred to them that no ticketing facilities were available at the stadium !!! Tickets have been priced as low as Rs 100 for a single game and Rs 200 for the double header. “Those who were still keen on watching the game had to go back all the way to the old stadium and return to Jamtha ~ a drive of close to 36 km and ended up watching very little cricketing action,“ a journalist covering the World Twenty20 event said. For a stadium that boasts of a 45,000-capacity, the stands remained eerily empty as VCA took its own time trying to rectify things. ~ and in places where there is mad contest for getting tickets, the best and lion’s share of tickets gets blocked by officials. I have a question. How come the team of an International Businessman so poor that he cannot pay his employees salary (and not sure if he would return to his country of birth) is allowed to play in IPL, when the team once owned by a person (who ensured BCCI got a major chunk of AD revenue as 85 to 90% of that comes from India) cannot? Funny isn't it ?